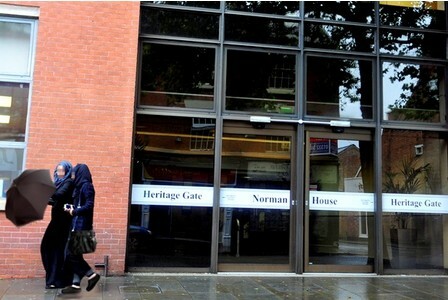 The Islamic Human Rights Commission (IHRC) is extremely concerned about the decision today of an Islamic school in Derby to withdraw the requirement for its female staff to cover their hair in line with Islamic principles. Al-Madinah Free School’s decision comes on the heels of a demand last week by the Parliamentary Under Secretary for Schools, John Nash, for the school to relax the rule or face having government funding withdrawn. According to reports, the school had insisted that all female teachers, including non Muslims, conform to the policy. In a letter to the school Mr Nash said it was discriminating in its policies and procedures towards female staff. IHRC believes that the Dept of Education’s position is unreasonable and amounts to a tacit threat against other Muslim schools. The law requires that an institution employs proportionate means to achieve a legitimate aim and there seems nothing illegitimate or disproportionate about requiring female staff to cover their hair. IHRC is concerned that the government’s demand is itself disproportionate and possibly a breach of the European Convention on Human Rights which safeguards freedom of religious observance and freedom of expression.